DL Technology develops customized dispensing needles and valves for the electronics assembly, industrial assembly, semiconductor packaging and medical industries. The company is owned and operated by engineers who have more than sixty combined years of experience in dispensing technology. The range consists of a wide variety of products such as Controllers, Pumps and Needles. DL Technology is the industry leader in producing pumps. 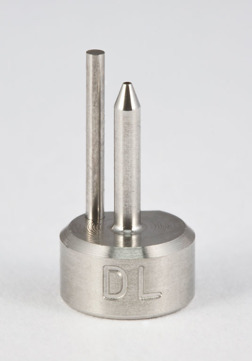 DL Technology will custom-design needles to meet the strictest demands of any application, such as multi-ported, angular configurations, special lengths, and special pattern tips. Check out the standard needles range first.